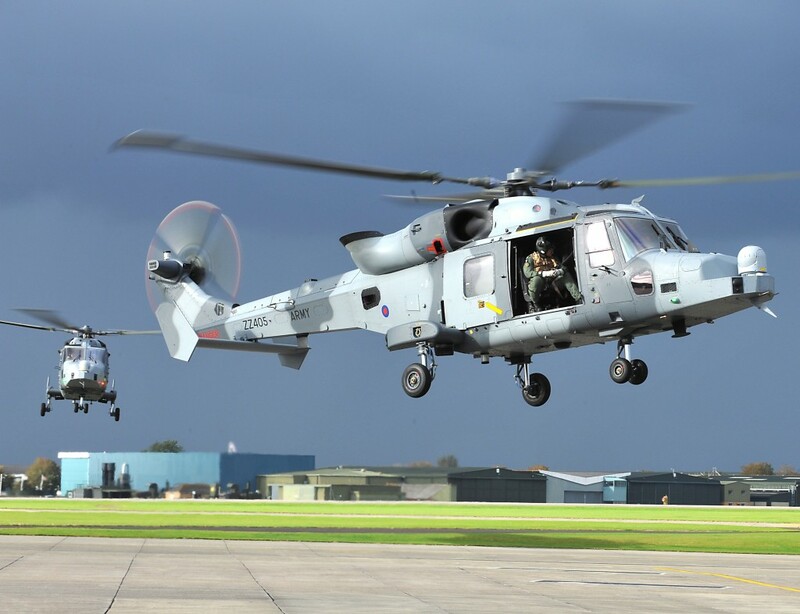 Hi, I’m Matt Thornton and I’m writing this blog to update you on the progress being made with the infrastructure work here at RNAS Yeovilton which forms part of the WINFRA (Wildcat Infrastructure) programme. As you may remember from the last update I provided in June we had handed over to the Lynx Wildcat Maritime Force (LWMF), operating both Lynx Mk 8 and the newly delivered Wildcat HMA Mk2, a refurbished Squadron Office Block for 825 Naval Air Squadron (NAS) and a new build Squadron Office Block for 815 NAS. Since then we have also handed over the Senior Rates Mess and the P&RTC (Physical and Recreational Training Centre) – the gym to you and me! 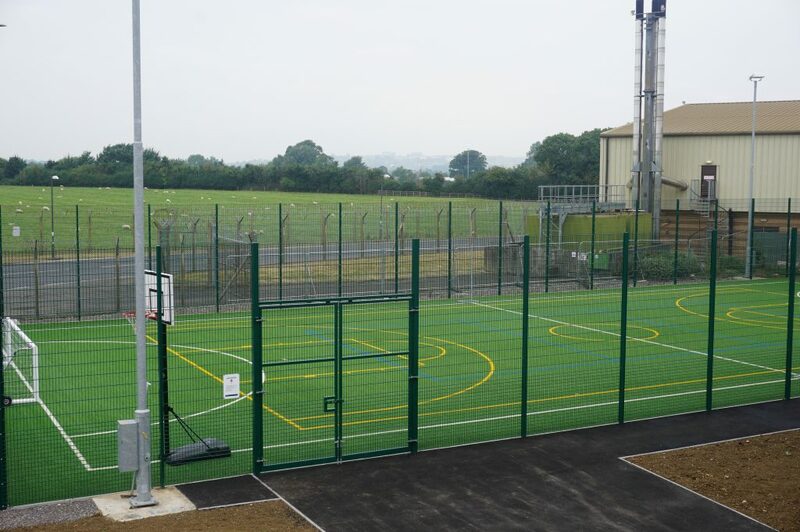 This also includes a MUGA – a Multi-Use Games Area – and state of the art 4G sports pitches. 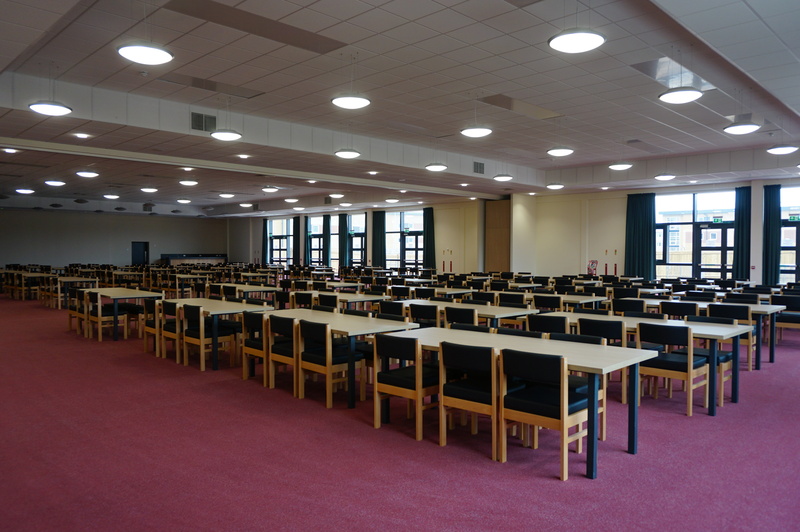 The Senior Rates Mess is one of the biggest in the country and can accommodate a function for 500 people to enjoy a sit down meal, so it’s pretty impressive. The gymnasium, although not quite so large, is also quite unusual, mainly because of the unique additions that have been included in the build. Because the gym is on a site where helicopters land and take-off special fitted blinds have been added to the doorways and windows so that the light from inside doesn’t distract pilots as they land on the runway. During the installation of the windows great care was also taken to ensure that the windows were tilted to exactly the right angle so that the sun’s reflection doesn’t blind pilots using the runway. Although not part of the WINFRA programme DIO is also building a new “Dunker” at Yeovilton which is for Aircraft/Amphibious Vehicle Under Water Escape and Survival Training. There are only a handful of these in the country and training in the “Dunker” is a prerequisite for any helicopter crew wishing to fly a helicopter over the sea – getting strapped in to a helicopter chassis, dropped into a swimming pool and learning how to escape is an awesome experience apparently! In terms of statistics, the WINFRA programme will create 508 new Single Living Accommodation bed spaces and 130 Service Families Accommodation bed spaces. So far the construction has used over 1800 tonnes of UK sourced steel, employed a 500 tonne crane to erect the steel work and over 1 million man hours have been worked with a peak number of approximately 450 workmen on site each day. All this work is to support the existing Naval Air Station, but specifically the uplift of an additional 750 Army personnel and over 30 Wildcat AH Mk1 helicopters. When the refurbishment and building work is completed on the site, RNAS Yeovilton will provide the necessary infrastructure to support the Navy and Army Wildcat in the same operational base. It will also deliver efficiencies as the single operating base for Wildcat. The project is due for completion next year.